Where practical dreams become high-quality renovations for some well-deserved family time. Too Busy to Tackle a Home Renovation Project on Your Own? 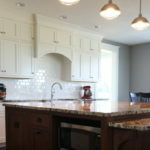 At Moose Ridge Design-Build Construction, we strive to take the stress out of your home renovation project. While each customer and each project is unique, there are a few basic steps that tend to improve the way a project starts. This checklist is designed to help you plan the steps from project conception to project start. STEP 5 – Construction Begins! Contact us to schedule and initial visit and walk-through. Moose Ridge Design-Build Construction is here to walk you through each and every step in this process. If you are a bit intimidated by the thought of a renovation….don’t be. 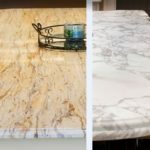 Quartz vs Granite vs Marble Counter Tops: Which Surface is Best?